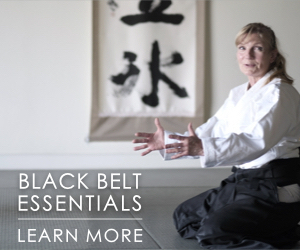 On July 15th and 16th, Aikido Journal invited Patricia Hendricks Shihan (7th dan) down to Ikazuchi Dojo for an interview and video shoot. We used a small part of the action footage we recorded to put together this video. This 3-minute demo showcases Hendricks Sensei’s aikido in 4K HD video and incorporates an original score composed by Roy Dean. We recommend watching the video full screen with audio on your device. 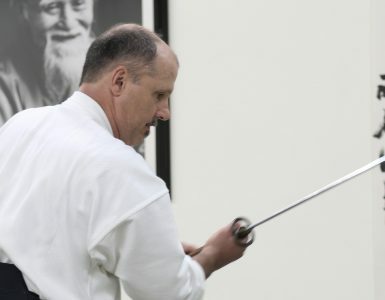 In our interview with Pat Hendricks Sensei, she noted that emerging leaders in the aikido world will be well-served by developing an understanding of everyone’s talents, abilities, and martial styles. She encouraged us to cultivate appreciation and respect for the path of others and to prioritize bringing people together to form strong community. We hope the creation of this video demonstrates putting that advice into action. 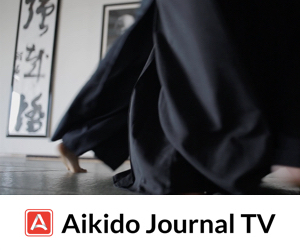 Aikido Journal brought together a diverse team to work on this project that was able to produce a showcase video of Hendricks Sensei over a very short time horizon. We filmed the demo at Ikazuchi Dojo, a school that doesn’t practice Iwama style aikido. One of the signature weapons in the demo, a razor sharp black kukri machete, was provided by Mark Cheng, a Kali instructor under Dan Inosanto. The video was filmed and edited, by Roy Dean, a Brazilian Jiu Jitsu Professor. He also wrote and recorded the musical score for the video. The event was organized and photographed by Anne Lee, a yoga instructor, who is not an active aikido practitioner. Within 10 days of Hendricks Sensei’s visit, the team was able to review 90-minutes of action footage from multiple camera angles, compose music, edit the video, and package it for release. We hope you enjoy the video. We think this is a demonstration the entire aikido community can be proud of. Hendricks Sensei’s technical execution is spectacular and serves as an exemplary showcase of Iwama aikido. We’ve included a few photos below from shoot day. Warming up and planning out the demo before Hendricks Sensei’s interview. Roy Dean, testing out camera angles during Hendricks Sensei’s practice. 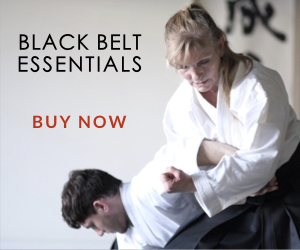 Special thanks to Roy Dean for donating his time to capture an aikido legend in motion and create such a beautifully produced video. Josh Gold getting Hendricks Sensei ready for the interview. Josh asking Hendricks Sensei about the mindset and approach that led her to become one the top leaders in the aikido world. The demo begins. Ukes were flying everywhere. Provided by Mark Cheng, the kukri machete in her right hand is razor sharp. The training blade in her left hand was given to Josh Gold by Dan Inosanto. Pat has known Dan Inosanto since the 1970s when he was looking for a young up-and-coming aikido instructor to teach at a training camp he led with a number of other martial arts legends. Hendricks Sensei talks about this experience in her interview. Haruo Matsuoka talking with Pat Hendricks. Matsuoka was a disciple of Seiseki Abe, a respected friend of Morihiro Saito. Both Saito and Abe spent a great deal of time with O-Sensei in the later part of his life as his direct students. Saito sent Pat Hendricks to study under Abe for a time when she was an uchi-deshi in Iwama. Advice for emerging leaders in the aikido world. 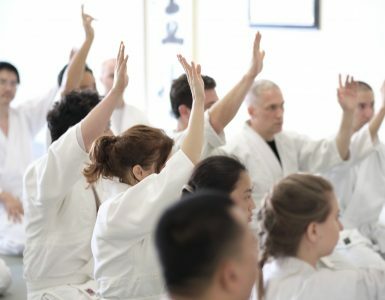 Thoughts about developing, supporting, and elevating women practitioners, instructors, and leaders in the aikido world. Taking Classes from Kohai: Hendricks Sensei is known for participating in classes led by lower-ranked instructors. We talk with her about her thinking and motivation behind this somewhat unorthodox approach. Uchi-Deshi Programs: How to run a relevant and successful uchi-deshi program and what a student who commits to a program can expect. 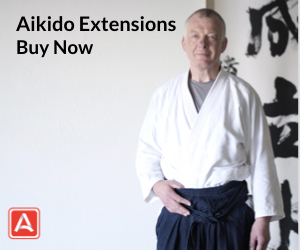 The greatest challenge facing the next generation of leaders in the aikido world. Thank you for being part of the community. We sincerely appreciate your support and enthusiasm. Very nicely done Josh. Please thank Roy Dean for me. Great footage and music. Hendricks Sensei is a treasure. Thank you Sensei! I will thank Roy on your behalf. Pat Hendricks Sensei is truly a treasure. 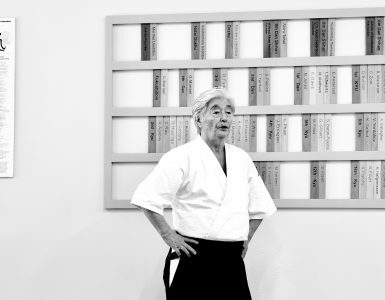 The aikido world is very fortunate to have her leadership. Thank you for providing such an informative video. Very nicely filmed! I am looking forward to the additional videos and interviews. Would it be possible to edit some of the videos and show them in slow motion? Next up is focusing on releasing interview content. We will keep you updated as more content is released. It’s nice to meet you here! Wow Josh. Very interesting that Hendricks Sensei studied with Abe Sensei during her time in Japan. Would like to hear more about that. I love being a female instructor. We need more women in Aikido and the martial arts in general. Women are naturals and are less prone to using brute force and their power comes from letting the natural grace and flow of Aikido shine through. I feel incredibly blessed at how many women I’ve been able to share my art with. Thank you to all my students for letting me be your sensei! It is a pleasure seeing this video of Patricia Hendricks . I have a very early video of her which I know is older than 15 years because I bought it in 1995 when I was teaching Okinawan Kenpo and the beginning of my Akido training .Looking forward to seeing more videos of her in the future. I like the pace of the demonstration you could see each moving been done it was almost like sitting in the military classroom with a military instructor on the thing that was missing was the explanation along with the demonstration . Thank you! I will share it with our chief instructor. I found Patricia Hendricks Aikido to be very impressive and smooth with a lot of energy. very well done. What an experience watching Hendricks Sensei’s grace and power. Truly an inspiration to all Aikidokas, and especially to women. Super editing and music, too. It was a privilege to watch.